What's going on dance music fans! We are so happy to bring you the best in up and coming dance music producers on the daily. 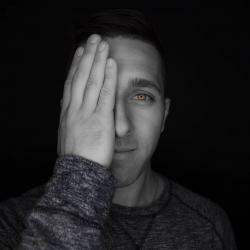 Today, we're bringing you no stranger to EDMsauce.com, Guest of Rapture, who is known for his ultra-unique records that meld together metal and rock influences with over the top electronic dance music melodies, production elements, and killer masters and mixes. His newest record that can be hear below, Old English, is one of Guest of Raptures best work yet as it brings together his consistent drum patterns, but really delves more into the land of dance music with the breakdown and backing melodies. The intricate looping patterns of guitar riffs, rock drum patterns, now, a deep blue of electronic synths really makes Old English a banger from the single play click. Take a listen below and let us know what you think in the comments section below!